In my last post, I talked about extending such innovations as the IoT, the digital hub, and improved connectivity to the developing world. In these locations, there’s a real need for improved building energy efficiency and the potential for a big payback because most urban population growth in the next few decades will take place in cities outside of the developed countries. Of course, these innovations can also benefit buildings everywhere. No matter where innovations are implemented, there are some guiding principles that should be followed. You can find various lists for this, including one with nine from UNICEF and another with eight for those that would rather disrupt than be disrupted. The first is a no-brainer. Cars solved a pressing urban pollution problem of 1900 while today a digital hub can help overcome a current challenge by enabling building energy management systems (BEMS) to operate with greater efficiency. And by greater efficiency I mean in terms of energy, saving up to 10 percent in heating and cooling through smart thermostats and occupancy sensors. I also mean in terms of productivity by, for instance, making sure wired and wireless networks are ready to go. This is possible because a BEMS, as Navigant Research Leaderboard Report: Building Energy Management Systems says, directs “automated and/or manual improvements to system operations.” By doing so, a BEMS can be valuable, reliable and safe. As for keeping things simple and ergonomic, the second guiding principle, that’s a good idea because simple solutions, as noted by aircraft designers, tend to work better than complex ones. Complexity makes systems prone to failure. Poor ergonomics, like tools that pinch fingers when used or BEMS interfaces that are difficult to operate, can also lead to failure. People often opt not to use equipment or systems that are difficult, tiring or dangerous to operate. The final guiding innovation principle is especially important when talking about technology. Take a BEMS. It includes the brains that direct the system, the sensors that check temperature and occupancy, the valves, actuators and fans that move air and water around, and other components. The system may be purchased in segments, particularly during a retrofit. That may happen over and over again during a typical building’s useful life, which per International Energy Agency reports can be a century or more. So, a BEMS needs to be modular. Maybe everything will be bought at once and maybe not. Or the whole system may be purchased together and then sub-systems upgraded separately in the years to come. Modularity ensures that different approaches to installation and upgrading will work. The need to adhere to open standards is another consequence of the long lifespan of buildings and the rapid pace of technological change. 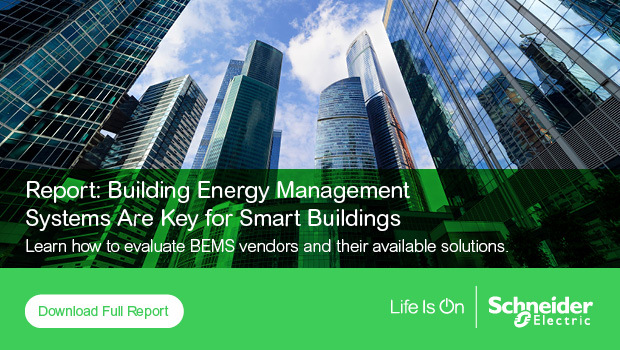 By following an open standard, a building energy management system is better able to provide performance, quality and reliability now and in the future. Our SmartStruxure solution for large and critical buildings as well as our SmartStruxure Lite for small and medium buildings follow these guiding principles. That’s important to keep in mind when looking at them or any BEMS. As for my next post, it’ll examine how innovations both demands and benefits from a broad product portfolio.